A promising year ahead for Ajay Devgn. Health needs guarding, though, cautions Ganesha. 1990's was a quaint time in Bollywood. The times were changing, and so was the Hindi film industry. 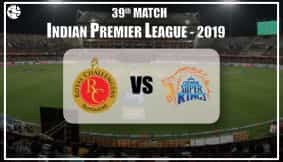 It was a time when the Indian film industry was waking up to mushy, youthful love stories with extremely young, new and fresh faces as lead characters - conventionally great looking, cute, poster-boy/ poster-girl eyeball-grabbing heroes and heroines. It was the time of formula, and being unconventional wasn't the right thing to be. Yet, Ajay Devgn, who did not subscribe to any of the usual lover boy charms, succeeded in sealing many a heart and mind, right from his d?but blockbuster Phool aur Kaante. Born to an illustrious, industry-insider father, one of the most well-known stunt directors in Hindi cinema Veeru Devgan, Ajay pleasantly surprised his audiences and critics from his first film itself. And today, it has been 21 long years since, and Ajay Devgn is still considered as one of the most mature and bankable actors of the Hindi films. Few would forget his remarkable portrayal of a distressed son in the award winning Zakhm, and as the headstrong revolutionary in the Legend of Bhagat Singh. Even his latest Singham was an act to remember! 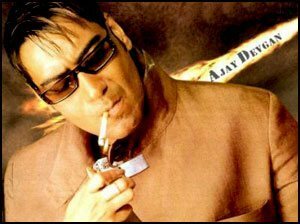 Although looks may not have been his forte ever, Ajay's talent and versatility have ensured that he has managed to portray wonderful roles in movies of all genres, be it action and drama - Once Upon a Time in Mumbai, Raincoat, Gangajal, Yuva, Raajneeti and Omkara; romance - Hum Dil de Chuke Sanam, Ishq, Diljale, Pyaar to Hona hi Tha; comedy - Golmal series; and more. Father of two, and husband to the hugely talented Kajol, Ajay Devgn has turned producer and director in the last few years. This two times National Award winner and multifaceted actor turns 43 on 2nd April 2012. 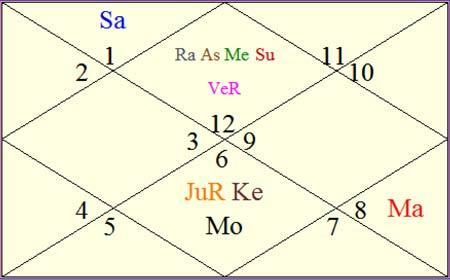 Here, Ganesha looks at Devgn's natal chart to find out what lies ahead for him, and his films. Ajay Devgn is born with an exalted and retrograde Venus, which makes him a very good artist. Swagruhi Mars makes him a good action hero. Stellium of Rahu, Mercury, Venus and Sun in Pisces makes him a very sentimental person. Saturn in Aries may be responsible for delayed success at the career front. During the year ahead, Jupiter will be transiting over Natal Sun, and after May 2012, it will form opposition with Swagruhi Mars posited in Scorpio. Rahu will be transiting over Natal Mars. Transiting Saturn will maintain opposition with Natal Saturn. During the year ahead, Ajay Devgn may meet with some success, but some of his films may only perform moderately at the box office. The second quarter of 2012, however, looks good for Ajay, what with transiting Venus in Taurus and later in Gemini. Again, as soon as Jupiter enters Taurus in the mid of May 2012, Ajay's luck factor will be get a definite boost. Between mid May 2012 and December 2012, Ajay will remain in the limelight. He will have to be very careful regarding his public image, though. Due to false allegations or legal issues or because of some other problems, his public image may get tarnished or he may receive negative publicity. Due to Rahu's transit over Natal Mars till December 2012, Ganesha feels that Ajay must avoid performing very risky stunt scenes, as there are chances of physical injury/illness or operation. His personal life seems almost hassle-free during the year ahead. On the whole, from career point of view, Ajay Devgn's year ahead looks very promising, but he may face problems regarding health and his public image during the year ahead. Good luck and may Lord Ganesha bless Ajay Devgn with a great year ahead.